I’ve been encouraging everyone to do some market research before preparing your marketing plan, especially if you want to get more classes teaching kids yoga. If you have a good idea of WHO your customer is it will help you with your copy for your website and your posters. Market research is asking your customer: Who are You? What Happens When You Ask: Who am I? With kids, this question can get everyone’s attention and add some mystery to a kids yoga class. This guessing game lets you get interactive with the class. So try this out during your yoga class, lining up, or to get everyone back into the circle. Let’s Play Who Am I? Announce to the kids, “Let’s play “Who am I?” Then give them clues to guess who you are. For example: Who am I? I have no arms and no legs.Let them guess now. They may say worm or snake. If I am thinking of that I congratulate them and then we all do cobra pose. Good guess but that is not what I was thinking of. Who am I? I live in the water. They may guess a whale or a fish. Good guesses but …I have big sharp teeth. Someone will eventually call out “A shark!” Right! Lets swim in the water like a shark and gobble up some fish. Then we will lie on our bellies, feet together, hands by the sides like fish, and lift up the head and shoulders and chomp our teeth. There are many possible ways to do a shark so feel free to do the one you like. You can play the guessing game with all ages, everyone likes it. Try it with What Am I? as well. That way you can be a tree, a moon, a trampoline, or whatever you want. Then use each one in a yoga pose. If the class is getting over-excited with the game be sure to lay out the rules. The people who are sitting down will be asked to give answers. 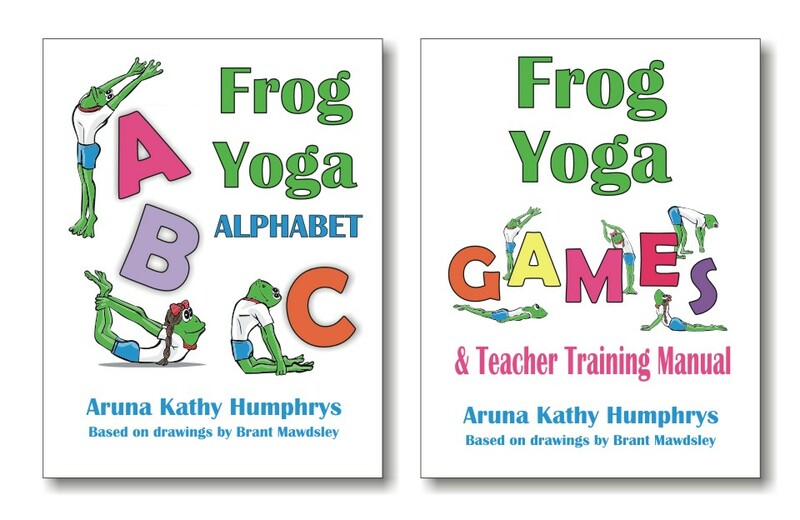 This game can lead into some beautiful meditation with children on the question “Who am I?” These are a part of my Six Week Curriculum for Teaching Kids Yoga. Hi Ganga – Are you Kabir Sahab the provocative weaver whose spirit has been living 500 years through his poetry and songs? Reading poetry to kids gives insight and inspiration without being preachy. Who am I? I swim and swim and forget that I’m in water and becoem thirsty. Who am I laughing? Sending you a massive hugs and a thousand kudos for your blog. Love ya.